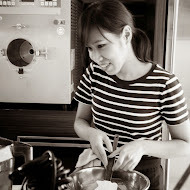 Hello my dearest kitchen dwellers, how are you all doing? I am writing this post filled with a lot of excitement, eager to show you all this latest cake of mine. 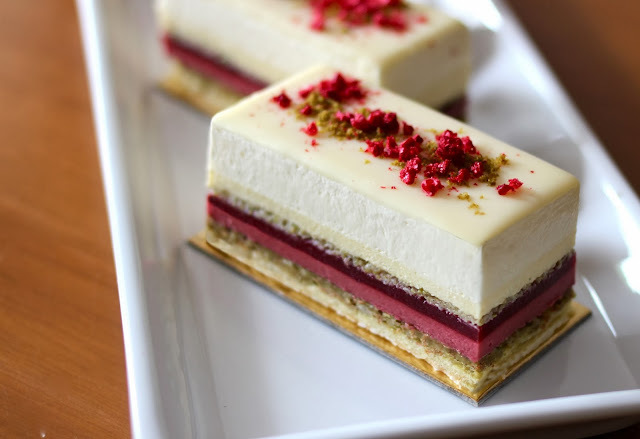 I've been thinking a lot lately about how to construct a successful entremet. 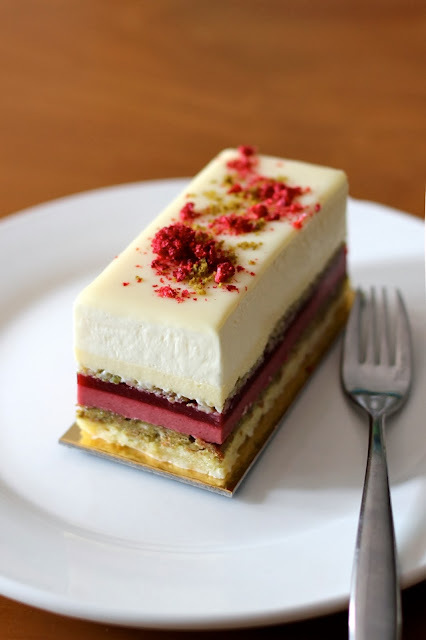 I've tasted some wonderful layered cakes in the past, but have also tasted ones that did not live up to their colorful promise. 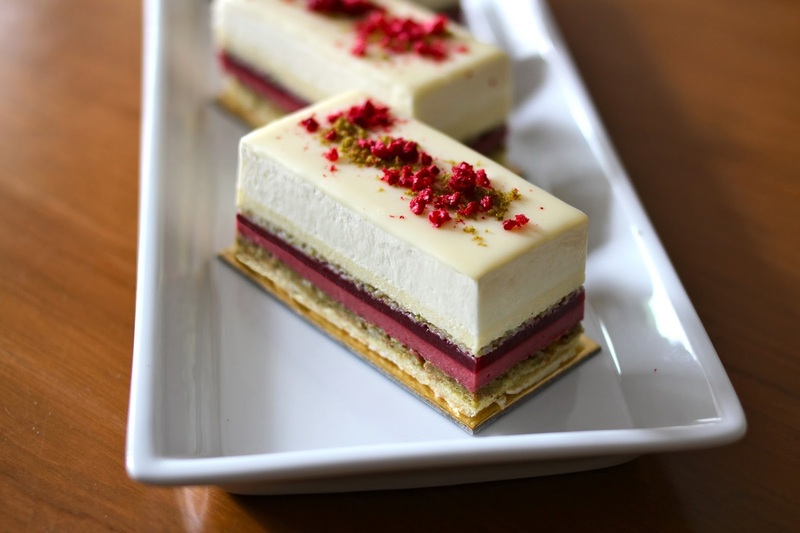 There are many factors that need to be weighed when deciding on components for an entremet. 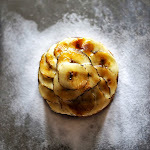 Structure, texture, balance and aesthetic all need to be considered individually, as well as how they would taste together in a bite. Each layer needs to have a function and needs to contribute to the overall taste and texture of the cake as a whole. 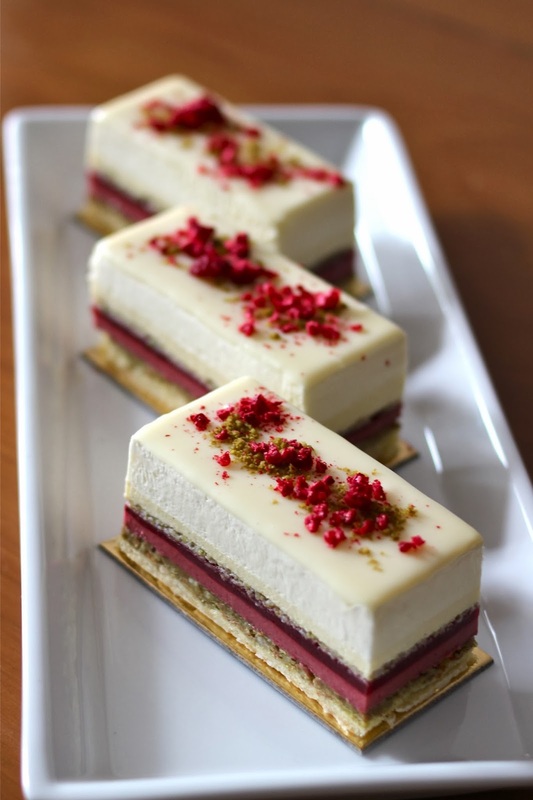 For me, it was a fun challenge trying to balance pistachio, white chocolate and raspberry so that no flavor would overpower the other. I wanted the fragrance of pistachio, the acidity of the raspberry and the sweet, roundness of the white chocolate to work together in a nice tasty symphony. The cake that I came up with is by no means perfect, but I am very proud of it. This cake was tasted by 15 foodie friends and most of them thought that the balance was right and that the flavors work well together. They found also that the pop-rocks in the "pistachio crunch" as a nice wee surprise and adds playful texture to the cake. 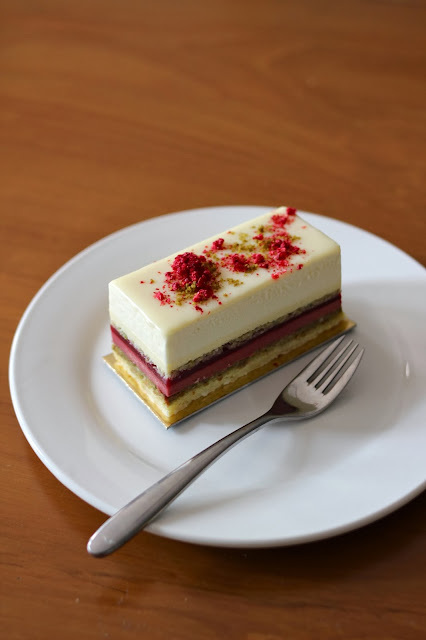 I topped the cake with some freeze-dried raspberries and pistachio sand to add a burst of color and flavor while still keeping the decor simple and minimalistic.